Product prices and availability are accurate as of 2019-04-17 20:48:20 EDT and are subject to change. Any price and availability information displayed on http://www.amazon.com/ at the time of purchase will apply to the purchase of this product. 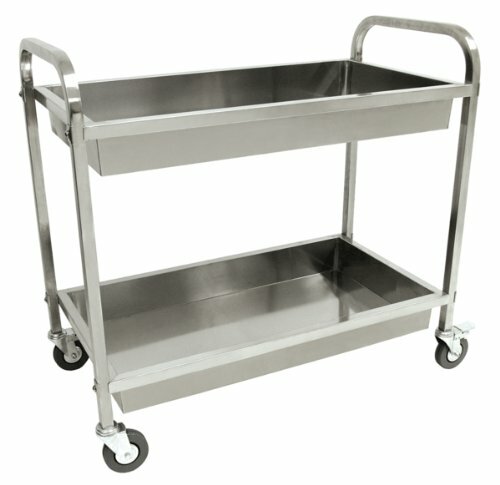 Bayou Classic Stainless Serving Cart brings style and ease to parties by holding all entertaining essentials. The clean, understated design combines versatile beauty and durability. The two shelves can hold beverage buckets, garnish trays, ice buckets, glasses, bottles, mixers and pretty much anything else you can stuff on it. The cart features all stainless steel construction with swivel casters and two that lock. The large shelve measure in at 35 Inch long, 19.5 Inch wide and 4 Inch deep and it has push/pull handles at either side of the cart. 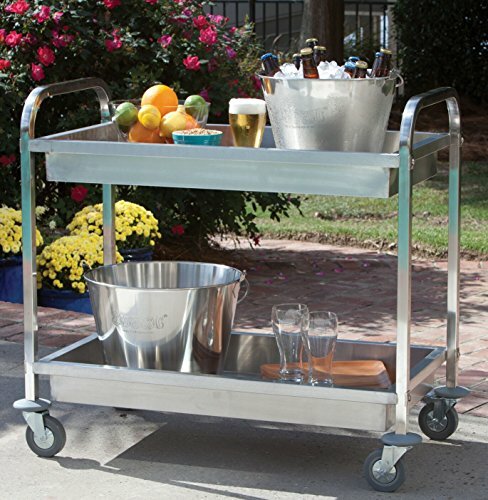 The Bayou Classic Serving Cart is easily positioned from kitchen to patio for any party occasion. From casual to elegant entertaining, Bayou Classic understands the importance of presentation.